The Kenmore Inn staff stands ready to offer oysters and Sunday dining in March 1935. 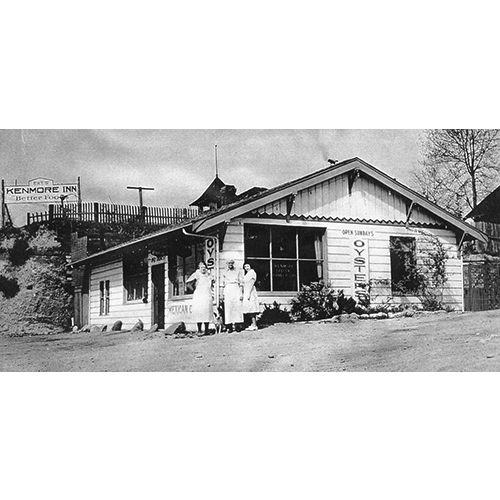 The cafe opened in the early 1930s at 63rd Avenue NE and Bothell Way, giving way to the Chowder Bowl in 1941. It is now the site of Passport Travel. Photo courtesy of Loren Day.